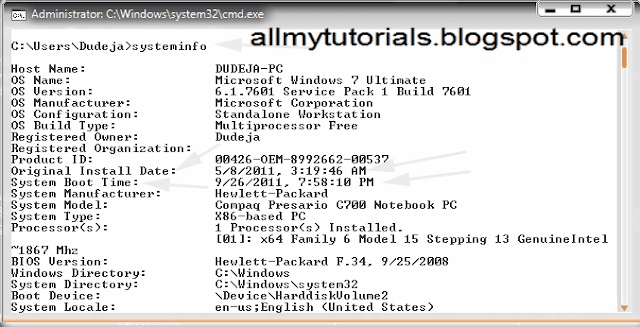 If you are using window and you want to know when you had installed windows to your system and when you last login to your system then you can find the installation time and date of windows by just enter a simple command in command prompt.So lets see how to do that. 1. ) 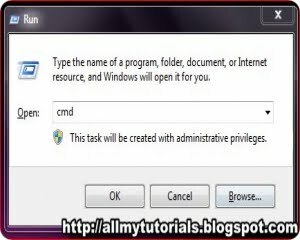 Go to start menu and open CMD or you also use the command winkey+r to open it directly. 2.) After that enter the command Systeminfo and wait for a moment your all information is loaded and you will able to see the time of installation and date.Using this command you will also can view the time when you last boot your operating system. It also provide you many other information also like the updates you have installed on your system ,information about system , information about OS and many more .That’s it for today post i hope you like my this post if you have any query please leave comments in below comment section and don’t forget to subscribe and like my blog .